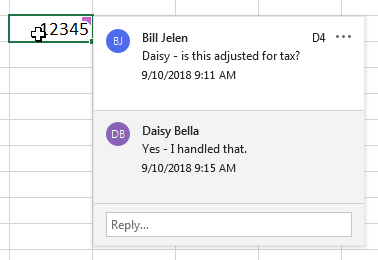 The Microsoft Excel team is rolling out a rich threaded comment system to Office 365 subscribers. It’s a good feature that will allow a team to have a conversation about any cell and will capture the author, date, and time of each comment or reply. The old legacy comment system still exists, but it’s back to its original name, Notes. Threaded comments have been in Microsoft Word for a while and work great. 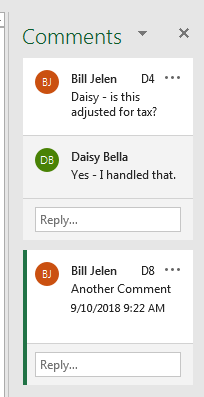 For Excel, the new threaded comments debut in Office 365 Build 1810. It’s a far richer experience than the old comment system in most cases. When you insert a comment, it will capture your name as well as the date and time. Anyone who sees that comment will then know who left it and will have an opportunity to add a reply. The reply also will include that user’s name and the date and time it was made. Note the purple comment indicator in the top-right corner of the cell. With this new system, comments have a purple indicator that looks like a rectangle with a small triangle cut out of the lower-right corner. It’s almost like they were trying to draw a thought bubble. The old legacy notes will continue to have a red triangle indicator. Another great improvement with the threaded comments is how they can be displayed. You can choose to show the comments in a pop-up window next to the purple comment indicator. Alternatively, the Show Comments icon in the Review tab of the ribbon will open a Comments panel on the right side of the Excel window. This panel will display all conversations for all commented cells. There’s added functionality for the threaded comments if your workbook is saved in OneDrive or SharePoint and multiple people are editing the workbook at the same time. As someone types a threaded comment, the purple comment indicator gets larger. This larger symbol tells other users that someone is currently editing the comment. Only one person can be editing the comment for a given cell at a time. In this scenario, the Comments panel will function sort of like a chat panel, where everyone can see everyone’s comments as they’re made. In the past, a note or comment appeared as a small yellow rectangle that resembled a Post-it Note. A red triangle would appear in the corner of the cell to let you know there was a comment. If you hovered over the red triangle, the note would display. If you’ve used comments in the default manner like this, you should be able to start using threaded comments without any problem. Yet there are millions of people who went beyond the default notes. They would change the size or color of their notes. Some would embed pictures in the note, creating a pop-up picture when you hovered over the red indicator. Others would use the Show/Hide Notes or Show All Notes to create a guide for others using the workbook. Others changed the shape of a note into a rounded rectangle or a star. 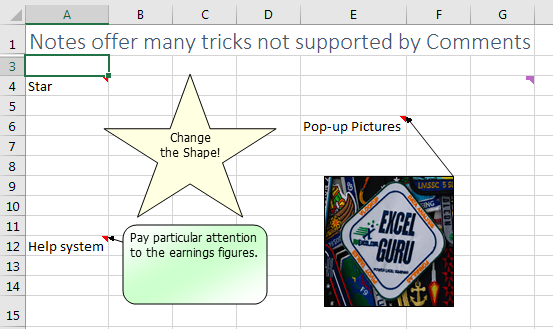 At one point, the Excel team considered hiding all of this functionality. But thanks to outcry on Excel.UserVoice.com, threaded comments and notes will live side by side on the Review tab of the ribbon. The Comment tools on the Review tab of the Ribbon apply to the new threaded comments. Use the new Notes section of the Review tab to insert and maintain the old notes. For most people, they will simply start using the Comment icons because they look like the icons they’re used to. They will adapt to threaded notes, and everything will be fine. If you specifically want to keep using the Notes tools, however, be sure to use the icons in the new Notes group. When you right-click a cell, the menu that appears will offer the correct editing options depending on whether the cell contains a comment or a note. If you right-click a cell with a comment, the pop-up menu will include an option to Reply to Comment. If you right-click a cell with a note, you will be offered an Edit Note option. 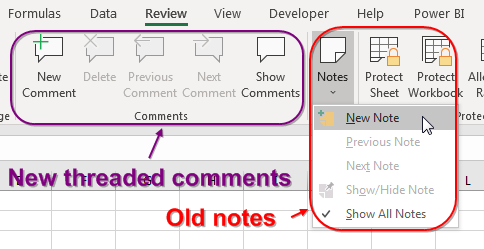 In the original release of threaded comments, editing a note would cause Excel to offer to convert all notes to the new threaded comments. 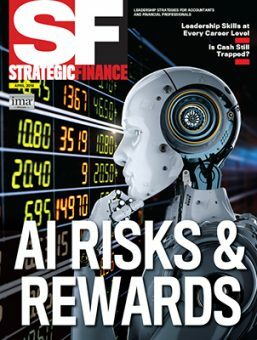 This was a destructive option for those who went the extra steps to format the notes in a special way, as the nicely formatted notes would lose their formatting upon conversion. The change was permanent and affected all notes in the workbook. In many cases, the formatted notes were created by one person, and it seemed wrong to encourage people to destroy the work of others. 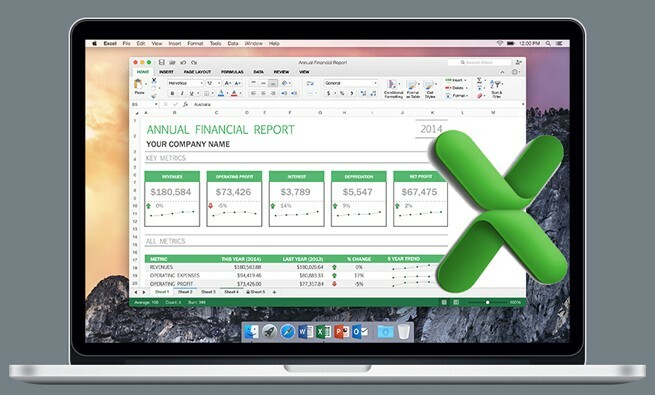 Thanks to voters on Excel.UserVoice.com, the Excel team changed the behavior so that the old notes and new comments can be edited side by side. Comments debuted in 1997 and were originally called Notes. A bug in Excel 2000 changed the name to Comments. It’s good to see the old name come back after 18 years. The New Note option is no longer under the Review menu! Simply super. 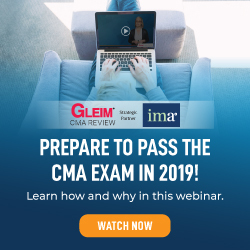 Can you provide detailed materials? I didnt know bugs could generate synonyms. I think somebody wanted it to be.